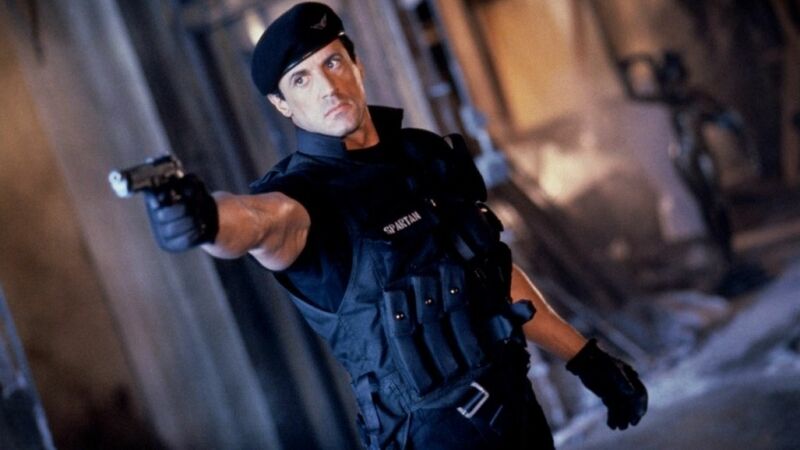 Sylvestor Stalone, Wesley Snipes and Sandra Bullock are the star line-up of this film involving... hmm... demolishing! The theme of this film is based upon the classic good guy versus bad guy scenario. The good guy being Stalone and the bad guy being Snipes. If you like explosions then you should not be disappointed with this film. The film starts off with Simon Pheonix (played by Snipes) as the head of a criminal gang holding hostages inside a surrounded building. The police are taking things cautiously, that is all except one rogue cop John Spartan (played by Stalone). Spartan jumps in by helicopter and generally works his way to Pheonix. One thing leads to another and Pheonix blows up the building, but both him and Startan escape the explosion. 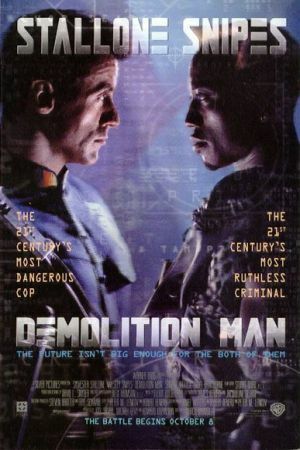 Both are then frozen after Spartan is held responsible for the hostages' deaths and is thereby nick-named the "Demolition Man". Fifty or so years later Pheonix escapes into a new reconstructed "ideal" world and creates havoc among the ill-trained police. Spartan is then released as he is the only man ever to catch Pheonix. Lt. Lenina Huxley (Sandra Bullock) is assigned to accompany Spartan in the 'new' world. This is generally considered as not one of Stalone's best films he's ever starred in, but it is still a good watch. This film also has some comedy when it comes to the changes in the technologies and customs from before Spartan was frozen. I never did find out how to use those sea-shells (nor would I ever want to!). This film is well worth watching again in a cinema with the big screen and loud sound.